Friday, September 30 was the “Pupils Day”. 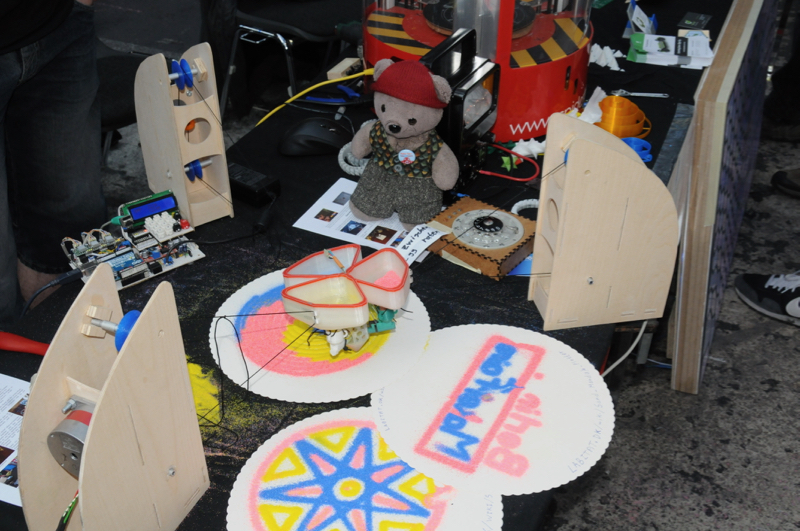 In the forenoon school classes and their teacher visited the MakerFaire. Some pupils took this as free time, most of them just watch, and some were very interested. Let’s hope, that they keep making. 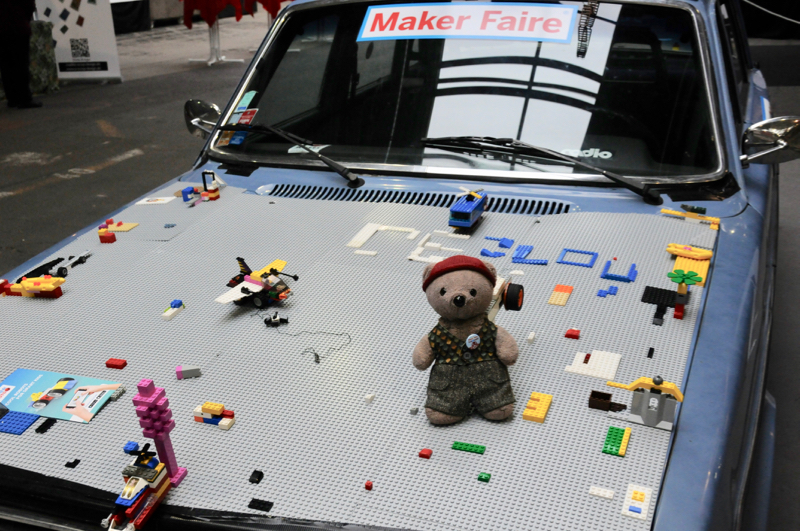 On Saturday and Sunday the MakerFaire opened for the public. 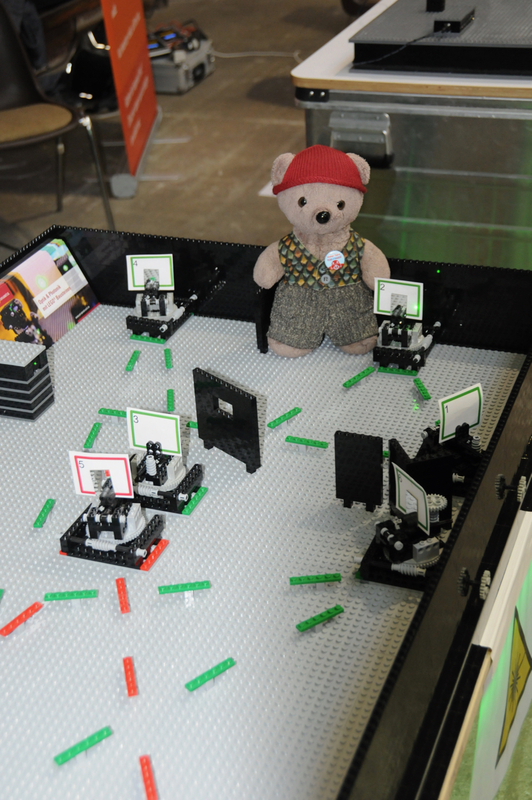 My human took me and his camera on a tour through the halls. First stop was an older Volvo, which was prepared with Lego plates. The Kids had a lot of fun building additional items on it. 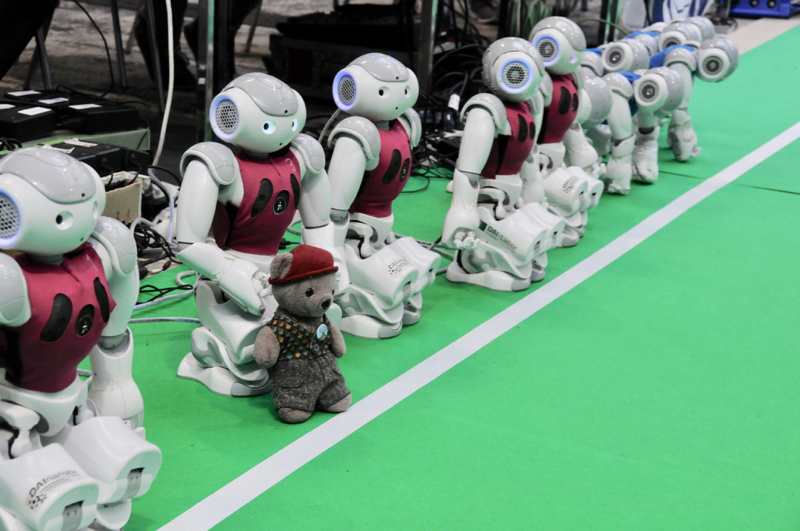 Then I saw the robotic football players preparing for the next game. They allowed me to sit amongst them for a team photo. Unfortunately during the game they fell over again and again. Nevertheless it was very fascinating to see them walking toward the ball, dribbling and shot a goal. Back to the other hall we found the booth of Kaos – a coworking space for art and design. Fantastic exhibits! 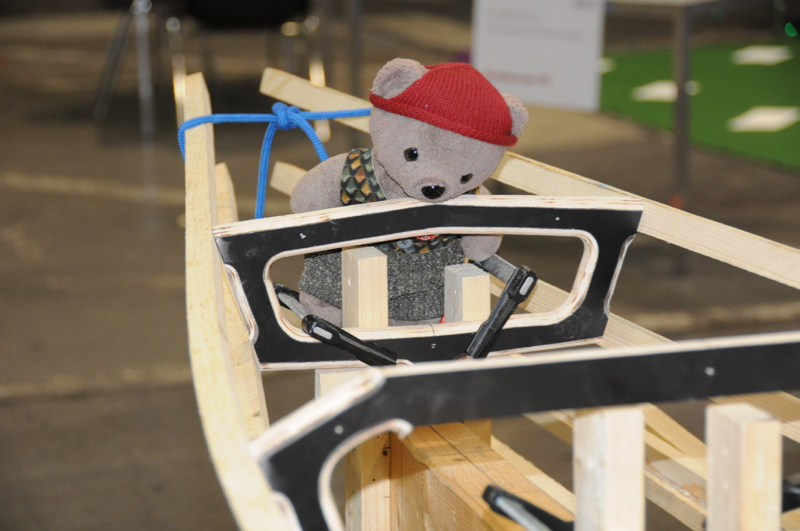 Especially the canoe in progress. Of course I had to examine it. 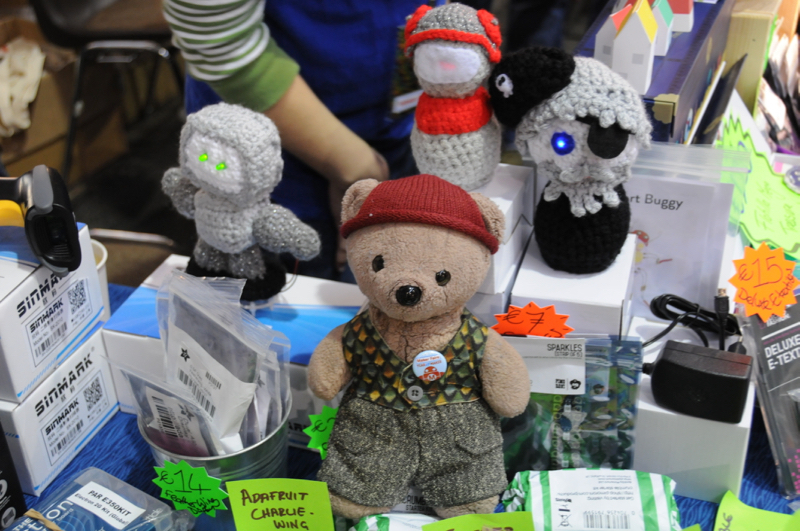 Next stop was the booth of Pimoroni. There I found new friends. Too bad, that the unicorn could not change the colour, because we were there too early. The Makerschule built Berlin – at least a part of it. They allowed me to sit in their mock-up. Again I felt a little bit like Godzilla, but of course I was careful, so that nothing broke. The pupils had so much work with it. I admired this. 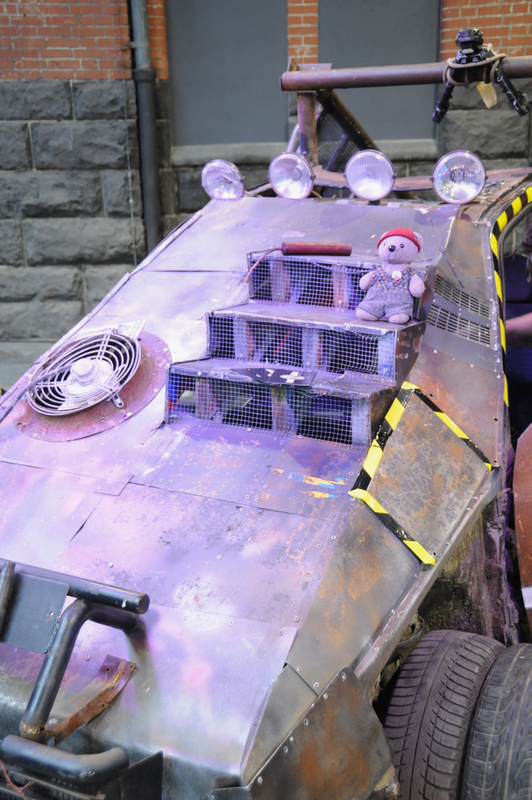 The Wasteländer drove in the exterior with their vehicles. The exterior was a little bit small – not comparable to the one in Hannover. Later they allowed me to sit on one of their vehicles. 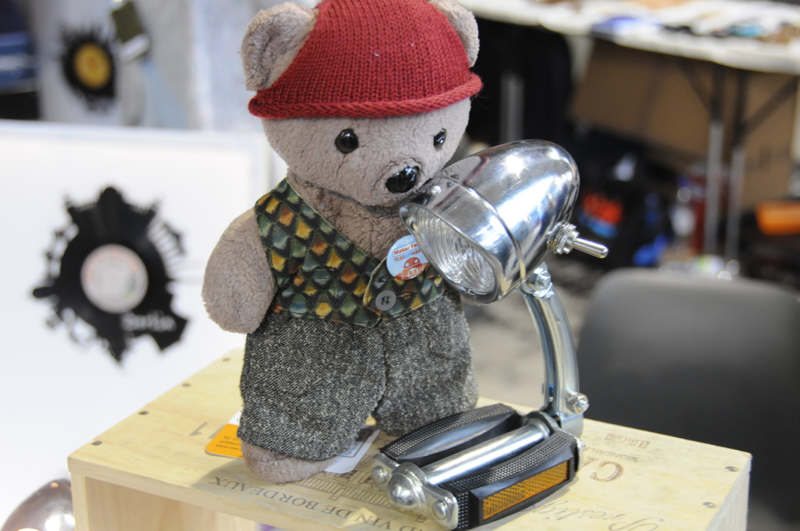 Hey this is a funny lamp from berlin-re-cycling! Stuart re-cycles parts of bicycles. 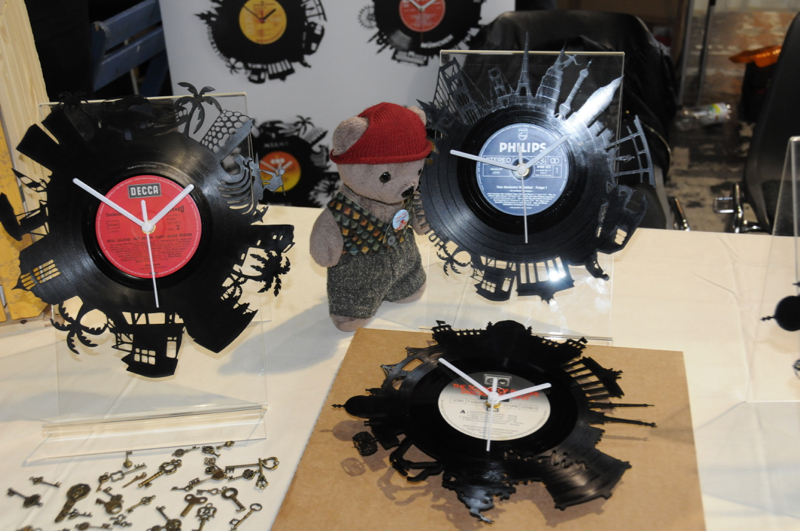 And in the neighbor booth I saw the clocks of citybomb. They cut the skylines of cities out of old LPs. Not far away I saw a car, Mad Max would be jealous of. The builders from Lost Ideas use it for LARP events. Yes – this was the real Thunderdome feeling! 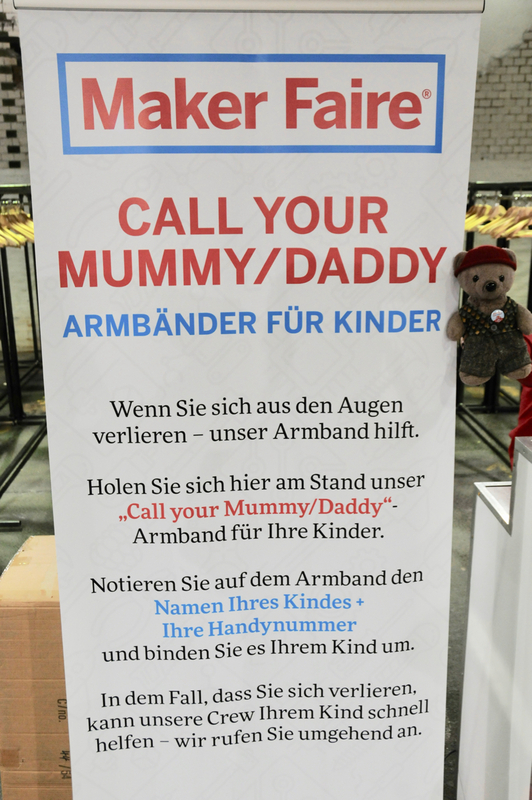 Back to the booth of Arduino Hannover. 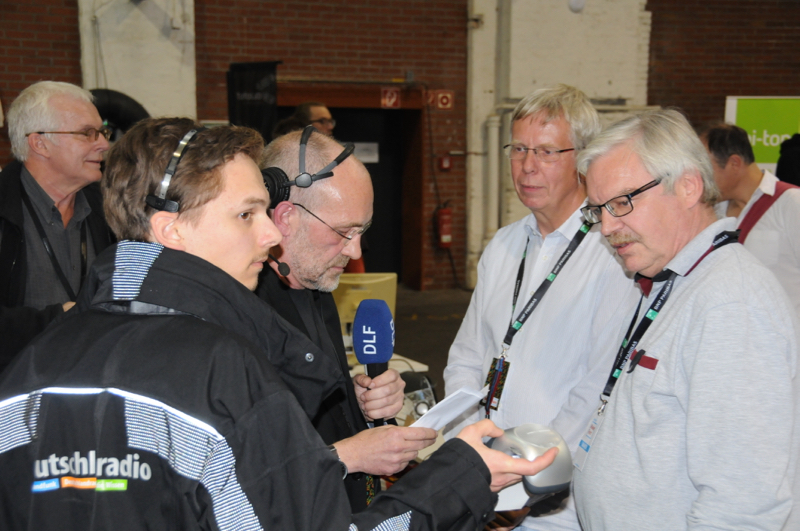 Just in time to see, that Deutschlandfunk sent a life interview directly from our booth. Olaf and Hubert were the spokesmen. Arduino Hannover interviewed for radio. And then this car! 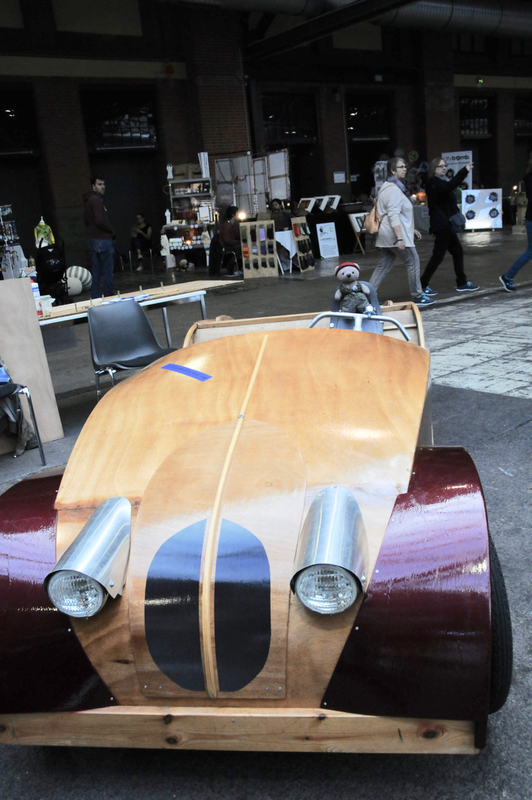 A wooden pedalcar, and what a design!! 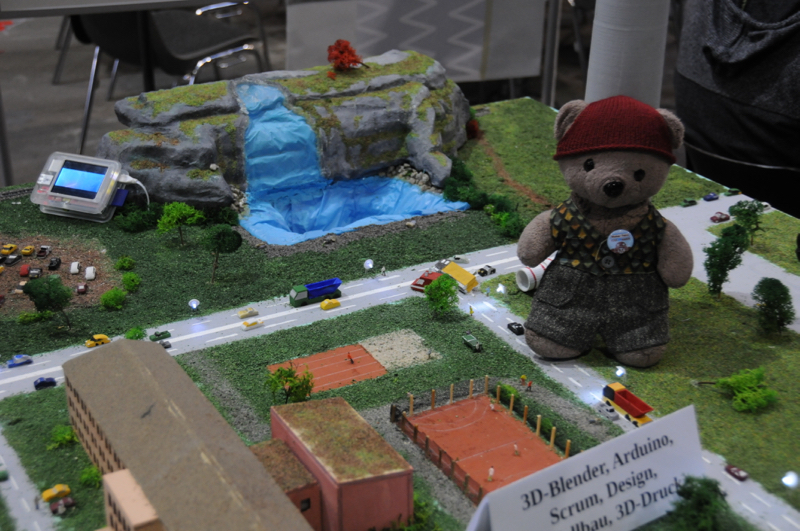 This was one my favorites on the MakerFaire. 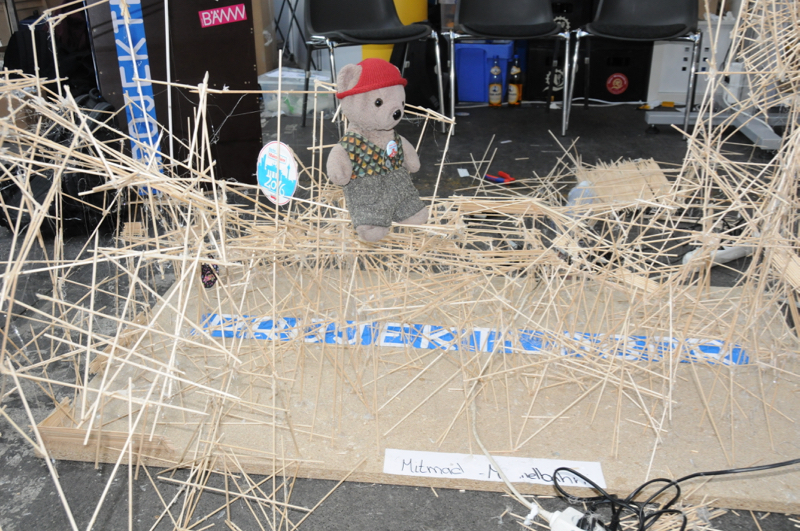 On another booth kids could build a ball path with wooden rods and hot glue. On a first glimpse it looks fragile. But the guys and girls told me, that it is very stable, which I could confirm. Not far away from the Arduino Hannover booth was the booth of Dremel. They helped my human, because he broke (again!) one of his USB sticks. 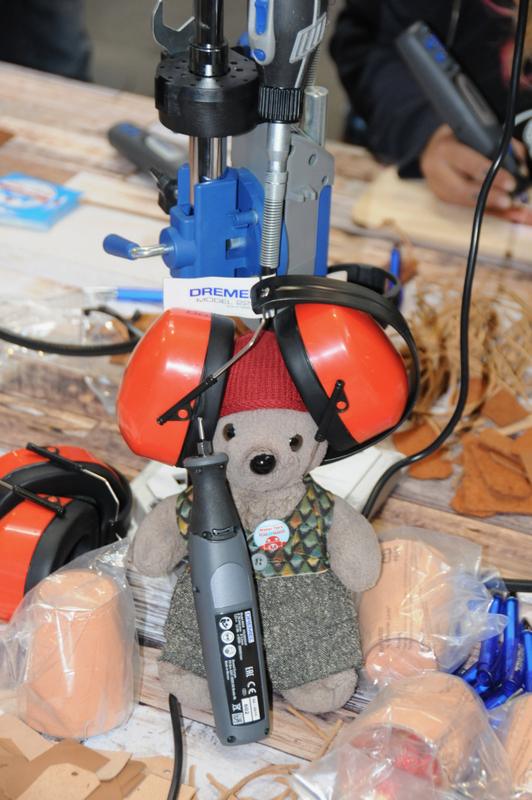 And they allowed me to test one of their rotary tools. Ear protection is very important! 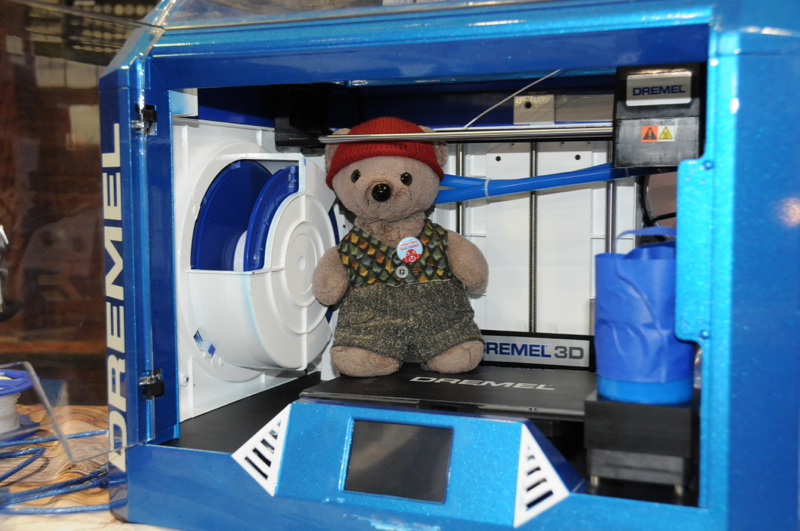 And I could examine the interior of a 3D printer – vey interesting! Phew! Time for a coffee break. 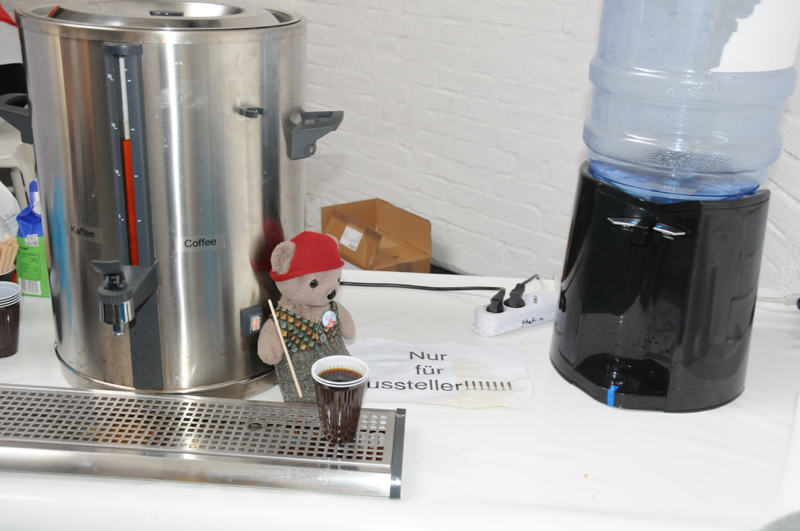 The organizers had a special place with coffee and water only for the makers. After the break I could play around with laser experiments. While I sat in the middle of this experiment, the laser was switched off. Otherwise it would be to dangerous for my eyes. 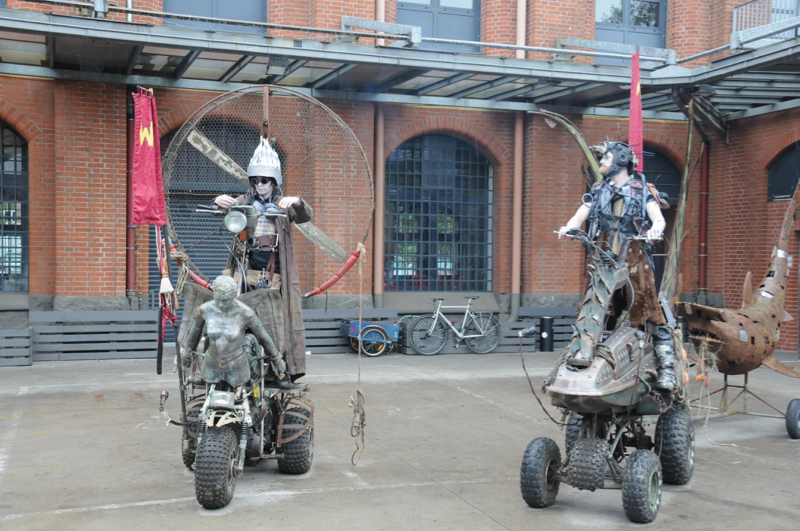 The Labitat – a hackerspace in Copenhagen – had funny exhibits. E.g. the Sand Mandala Plotter, which creates figures with coloured sand. An Arduino controls three stepper motors. 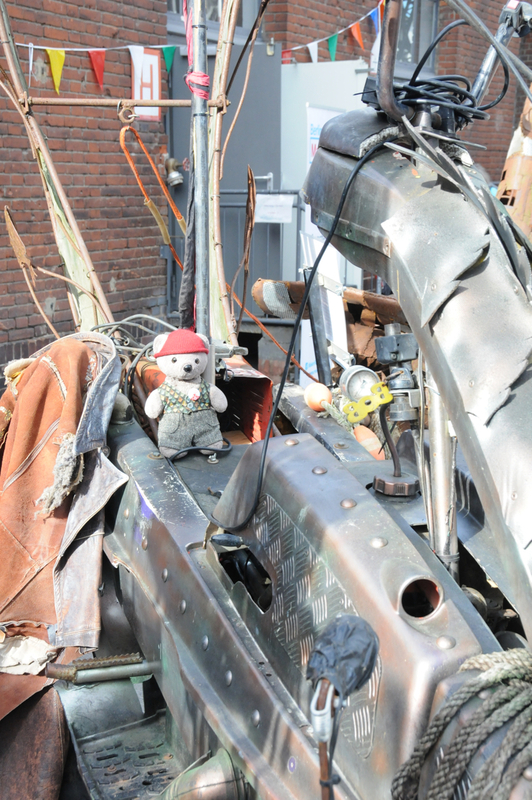 And finally I could sit on one of the Wasteländer machines. A little anecdote: My human walked over the Faire with his Steampunk outfit. At his forearm he wear his sextant at a wristband. A little boy (4 years or so) asked him “What is this?” His sister (8 years or so) answered “This a sextant. Sailors used this on their sailing ships to navigate.” Wow! Even grownups don’t know this! The last stop was in the foto bus. Visitors can take a sort of selfies, dressed up or not. Then the fotos can be downloaded from their web site with a personal code. And with the correct Twitter hashtag, they could be printed directly in the bus. Wow, these were hard two days, but very exciting and inspiring. 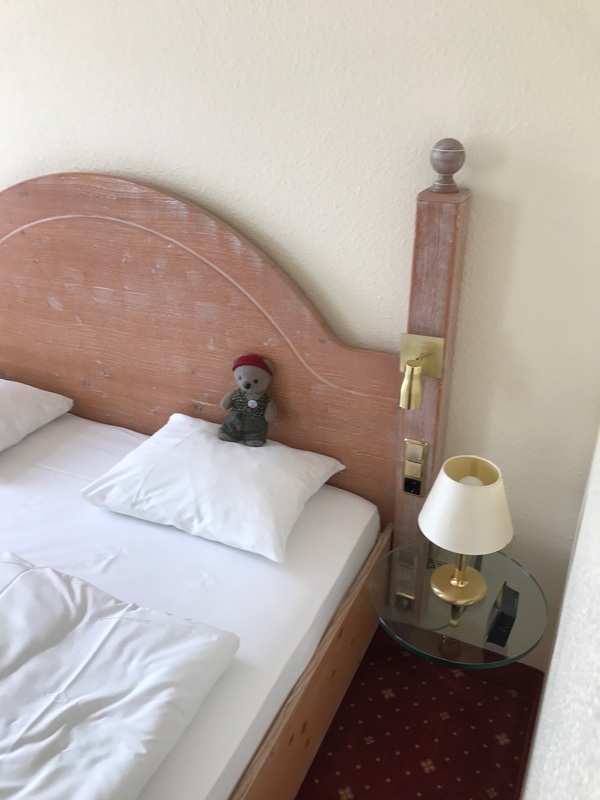 Time to relax in the hotel. 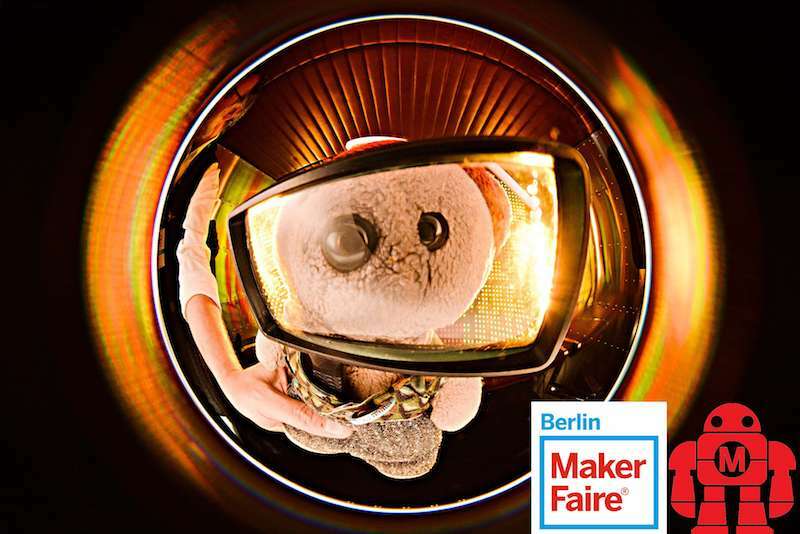 See you next year in Berlin (probably), but definitely at MakerFaire Hannover.